Michael Srdak, from Acme, reads prayers that are on the back of his poster as he makes he religious views known during The Grand Traverse Area Life Chain an along Front Street near Garfield. The chain was one of 1,300 Life Chains across America. 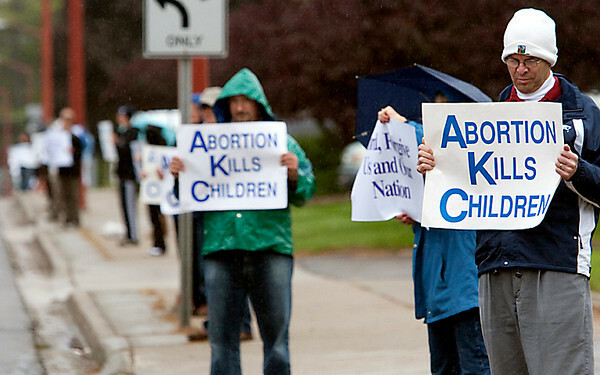 Life Chain is not a picket or a march and the participants silently hold pro-life signs.